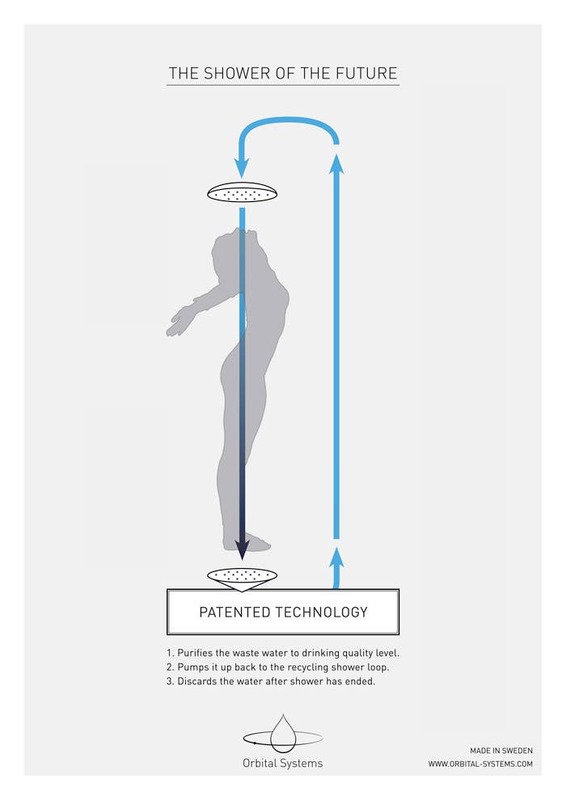 By collecting most of the hot, soapy water that flows off of you during a ten-minute shower, Orbital Systems’ new closed-loop shower promises to reduce your water use by up to 90%, all while reducing the energy it takes to keep that water warm- by as much as 80%! All of which begs the question: is it real? … which explains where the water goes, and that it’s purified (but not how it’s purified) before heading back up through the nozzle. 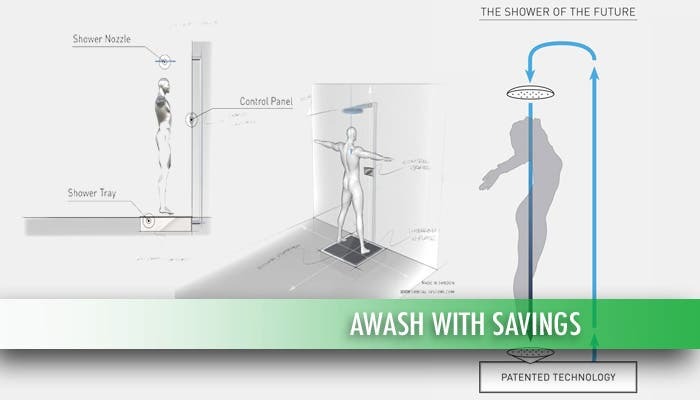 It’s more complicated than some water saving shower systems we’ve covered in the past, but similar, in concept, to the way showers designed used in space travel work. There, a closed-loop system is the only way to go, since astronauts are forced to reuse the same water over and over again. The company hopes that their “space-age” technology could help dramatically reduce water use and carbon emissions in homes, at gyms, or on military bases, and hope that the potential savings their closed-loop shower system offers will help buyers overcome the mental obstacle of higher initial pricing. You can check out the OrbSys shower in action in this video, from CNN, below- then let us know what you think of the new clean tech in the comments section at the bottom of the page. Enjoy! Source | Images: OrbSys (Orbital-Systems), via CNN and Treehugger.